Australians all let us rejoice.. Many Australians read this blog and I’d love for them to come over and comment on this post and give me their insights or perhaps make a post of their own. Does anyone else feel like they don’t belong here in this country, or is it just me? The Hump Day Hmmm topic this week is – Race, Society and the Internet. We Aussies have a unique view on this topic, I think. Australia is a multi cultural land. I have been raised to appreciate and respect other cultures, traditions, beliefs – and I do. We have people from many lands who have come here. The Australian Census in 2006 lists over 30 different countries of birth for the current residents of this country – and one of those categories was “other”, so the real truth is difficult to know. If you ask an Australian what does multi-cultural mean, they will generally mention food. Yes we have many different foods here in this country but it is about so much more. Language. Religion. Beliefs. Genetics. Art. All of that plus a lot more – right down to how the homes smell and whether you take your shoes off at the door or not. Where I grew up was a fairly typical Australian neighbourhood. Across the road lived people from Sweden. They spoke Swedish and taught me some Swedish. They had a REAL pine Christmas tree. They had exotic names. Next door to them were people from Poland. They were stand offish. They decorated their Easter Eggs in the traditional Polish Pisanka style. Next door to them were people from Italy. Oh, the food. They took me to Midnight Mass and I adored it. At primary (grade) school, my first best friend was Ellen. She was Chinese and just as much of an outcast at school as I was, which was why we got along so well. We both had a crush on Iva Davies from Icehouse. In year 7 there was a school camp, and Ellen was the only person whose parents would not allow her to go. In solidarity, I refused to go, and the two of us stayed behind, the only two out of almost 100 students. Her parents had a Chinese restaurant and we would go there after school, folding napkins, eating chicken and sweet corn soup, spring rolls and prawn crackers and drinking Coke. I still find it hard to drink anything else with Chinese food. The two are forever associated for me. 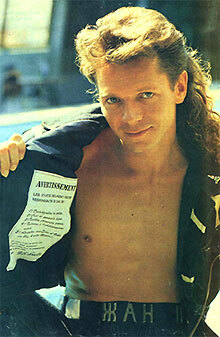 Iva Davies, as he was back then. Noice! My second best friend was Leila. She was from Iraq. Her home smelt mystical. I cannot describe it other than to say incense sticks and spicy food. She had arrived in Australia very recently and there was a lot of fear and concern for family and friends left behind. She had the most beautiful exotic clothes and gorgeous dark curly hair and this accent which seemed to be to be sent from Heaven. I wanted to talk like her. My third best friend was Rachel. She lived three doors up. Her parents were second generation Australian, from English stock. Her mother had this major thing about naphthalene flakes and moths. She would sprinkle naphthalene flakes on the floor and vacuum them. The smell was impregnated into Rachel’s clothes and some of the kids teased her about it. Me personally I liked the smell from a distance but going into the house was difficult, you almost needed a gas mask to survive it. We were the four – inseparable. We came as a package. When primary school ended, none of my three best friends went to my high school. I arrived there and I was the outcast. I was not stick thin. There were 500+ people in my year level. The only people who would accept me into their group were the “nerds”. Mostly I retreated within myself because people were so rude and nasty to me. I began to hate school and look forward to the weekends when I could see my old friends from primary school. By the end of that year the four became people I saw less and less often. They’d got involved with their own school lives – but where did that leave me? I ended up going to church to seek out people I could be friends with. There I met my new best friend who was my best friend for all of high school and quite a few years after. She was second generation Australian, her parents were from the Isle of Man in the UK. She went to a different school than me, but she was an outcast there – she was also overweight like me and she was a diabetic. She spent a lot of time in the hospital which was near to me, and I spent a lot of time there with her. I’d walk to the hospital after school and stay there until my parents picked me up about 9pm. Around this time next door to us on the right side a new neighbour moved in from Malaysia. He was a later addition to the neighbourhood, arriving in the late 80’s. He was not too much older than me and his parents had sent him and his brother out here to go to school. I had a major crush on him but I never said a word, feeling he would be terrified by it. Instead we became very close friends. He would go back to Malaysia for several weeks over Christmas and his absence was like a gaping hole. You took your shoes off at the door. Often Leonard would find large huntsmen spiders in his shoes and say maybe this custom was not a good idea in Australia. The majority of the population here are not “native” Australians. I was born and raised here and no matter how much I might want to be, I will never be considered a “native” Australian, just like many Americans will never be considered “native” Americans – though I don’t think Americans feel it in the same way I do (do ya’all?). I do not have any Aboriginal blood running through my veins. Many Australians would consider that to be a good thing – I personally wish there was, for many reasons. First and foremost is I want to be considered a “native” Australian. I was born here. This is my country. To be told I am not native to my own country is honestly one of the most irritating feelings.. it seems petty and pedantic but it really stings and this annoys me more the older I get. I don’t actually know very much about my ancestors or how they got here but I do know there’s Scottish blood on my Mother’s side and English blood on my Father’s side. Maybe that’s why I’m so attracted to men in kilts. :) I have never seen Braveheart and I don’t understand much about Scottish traditions. I am hugely attracted to Aboriginal Art. Something about it speaks loudly to me. When I first started doing art I kept seeing dot paintings in my head. I’m no master in Australian History or anything, but over 200 years ago the English used to send their convicts here. People who stole a loaf of bread would be shipped out to Australia as a punishment. Whoever thought up that idea had obviously never been here. The place has amazing natural beauty. Aborigines have been treated very badly in this country since about the time the convict settlers arrived. There is a lot of anger on both sides – everyone is angry, actually. It’s not my intention to go back over the history and explain why people are angry and to be honest what is in the past should be able to stay in the past. Let’s live in the now, not the past. Right? Of course things never work that way. 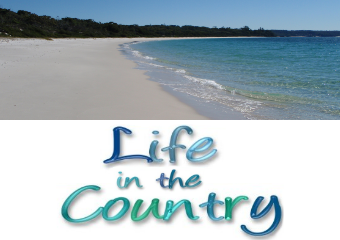 The major issue is, somebody introduced the Aborigines to alcohol, drugs, and petrol sniffing. Some people tried to do good things and built houses for the Aborigines to live in, perhaps they thought it would help to make them “civilised”. They were quite offended when many of the Aborigines pulled out the floor and took off the roof – they need to feel the dirt under their feet and see the stars above their heads. Oh, and some people stole a bunch of their children, claiming those kids weren’t being looked after. In fact an entire generation of Aboriginal children were stolen out of their homes. The Other Half’s own Mother was one of this stolen generation. She wasn’t wearing shoes in her backyard. That is why she and her brother were taken away. Aha – did you pick up on that? The Other Half has Aboriginal blood in his ancestry. Oh, he’s pretty white. You can’t tell by his skin color. We believe he has two generations of white blood, though nobody can be sure, that whole stolen generation thing gets in the way of the family tree, and his Mother did not truly embrace being Aboriginal because of being stolen. It was something mentioned in a whisper. He does have a lot of the typical Aboriginal genetic traits – a thick skull, a wider, flatter, sort of squished onto his face nose, curly dark hair. To me The Other Half looks a little bit like Guy Sebastian, except without the groomed eyebrows. 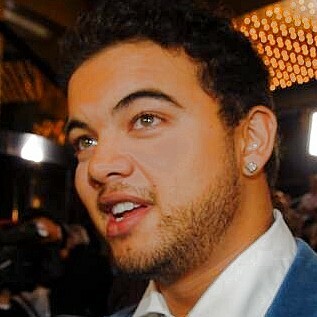 Guy Sebastian from Australian Idol. Guy is a fairly unusual Australian Idol – he was not born here. Guy Sebastian was born in Klang, Malaysia to a Sri Lankan and Malaysian father, and a mother of Portuguese and English descent who had been raised in India. If you were to look at The Other Half chances are you would guess he is from the middle east – since September 11, he cannot get through security at the airport without being vacuumed to see if he is carrying explosives. People are always surprised when *I* tell them he is Aboriginal and their initial reaction is “I thought he was from (middle east country). He does not tell people. He doesn’t mind me telling them, but to him it’s not important. It is also not a part of him because he was not raised in that culture. To me, who values the fact that he can call himself a “native” Australian, this is pure blasphemy. On one hand I can see why – some people have a stereotypical view of Aborigines – that they are drunk homeless people. It’s not true for the majority of Aborigines, but it *is* true for a small group of them. Of course that small group are the more noticeable ones when you’re walking through the park they are drinking in. If I had the smallest amount of Aboriginal blood in me, I would rejoice and embrace the culture with open arms, because at least then I would feel like I belong here. Because they were treated so badly in the past, like America there is now the politically correct non discrimination thing going on. Some jobs are advertised with “Must be of Aboriginal descent”. The Other Half would never apply for one of those kinds of jobs, because he does not think it is fair to anyone. He does not want to be someone’s “token” Aboriginal. There’s also a large range of free services he would have access to if he chose to identify himself as being of Aboriginal descent. He won’t do it. He says it is because he has no proof that he is Aboriginal other than what his mother has told him, and what are they going to want, DNA samples? I say the same thing about those jobs where people have to be of Aboriginal descent – do you have to take along some proof? I sit here in a land of many cultures, and I feel completely lost. I don’t have my own culture. I mentioned before when I was growing up in primary school my best friend Ellen was Chinese. That had such enormous meaning to me. She had a language of her own, her parents ran a Chinese restaurant, when you went to her house it was filled with traditional items from her parents homeland. My house seemed empty in comparison – full of love, but no cultural history. If you asked Ellen – what is your culture – I am sure she would have a list of things as long as her arm. If you ask me – what is my culture? I don’t feel like I have one. I don’t belong here. I am here, but I don’t BELONG. To counteract this feeling of not belonging I have begun to carve out my own culture. I take pieces from other cultures that I like, and I adopt them as my own. I have a real pine Christmas tree. I cook Italian comfort food when I feel unhappy. I eat Chinese once a week and when I feel sick I cook chicken and sweet corn soup. I love Feng Shui, aromatherapy, incense sticks, Geisha dolls, midnight mass, the Norwegian language because it speaks to me on a level I don’t even understand, beaches and Aboriginal art. None of these small, stolen traditions will ever fill that hole I feel. It will never make me belong the way I see people from minorities belong. I don’t have my own language – and when I do type the language I know, Australian English, I am accused of not knowing how to spell. Not just by people reading my own blog but by my OWN WEB BROWSER!!! Here we use ou – favourite, colour, etc. Words that I was taught to spell in school show up with a red line under them in Firefox. Australians, I believe our biggest challenge is still to come. We now face a new religion arriving on our shores. It’s been here for a while but now it is beginning to make its presence known. I have never been more uncomfortable. I do not like some aspects of this religion at all, in particular the Hijab and Halal. Cugat once said something very intelligent to me about Halal and I hope he repeats it in the comments – about the origins of it. I find myself offended by what seems to me to be a religion where women are considered lesser creatures. Of course I could be wrong but that is how it looks on the face of it. I believe I may be beginning to develop a prejudice against this religion and this means I am going to have to learn more about it. Despite the same Qur’anic obligations being issued for men and women, rules regarding dress developed so that men were to cover from their navels to their knees, whereas a women were to cover all their bodies except what was essential, that is, the hands and face. What offends me the most is Halal. The one thing I do consider truly Australian is the Aussie Hamburger – we put everything on there we can think of. Beetroot, egg, bacon, lettuce, tomato, onion, pineapple, avocado. Now some places you can no longer get bacon because they are Halal. I wrote this post – Hang on a minute – on that topic back in November and also – Another non-religious post – as yet my views on that have not changed. I need to remember to look deeply to find the similarities between myself and people who follow this religion or else there’s a chance I might not accept them. That’s difficult when you feel offended as a woman by such a religion – how can I reconcile the woman I am to the women who follow something which seems to be oppressive to women? I don’t eat there either, and I won’t be anytime soon. I don’t like their food much. If halal preparation means less nastiness for chickens then it is good, but on a serious note I do not like all this changing stuff because of religion. It’s wrong, in my opinion. When other people’s beliefs begin to intrude on every day life, that’s a bit of an issue. And no wonder the Christians and Atheists and everyone else are annoyed – they have never managed to intrude on every day life in this way, and they are jealous, I think. I’m ok with the chicken stuff, because this seems like it is a much nicer way of killing the animals according to the RSPCA and I support that. The problem is elsewhere. The problem is the Bacon and Pork. Let us take a journey into an entirely hypothetical world for a moment. Lets say for example, that David Koresh had not died, that there was no shootout, that he was arrested by the FBI and then released when all his housemates refused to testify and like the weapons of mass destruction nobody could find any guns. And lets say then he is popular and not ugly and also somewhat stick thin and because of the media attention, people start joining his religion in mass numbers, all over the world. Let’s say David sat down one evening to have a lovely meal, and ended up with severe food poisoning. So bad in fact, that he ended up in hospital in intensive care. So when he’s feeling better, he makes a sermon, and adds a new rule to his religion – NO FISH. And you can’t eat food from a restaurant that serves fish at all. And you can’t have anything to do with fish whatsoever, because the Devil tries to poison people with Fish. So as a result, fisherman suddenly find it hard to sell their fish to restaurants. Mcdonalds says goodbye to the Filet of Fish. Fish and chip shops all over the country shut down (sorry Pauline). Fish markets close. An industry vanishes. People are out of work. This could soon happen with Pork, people. I’m not joking around here. If restaurants all choose to become Halal, it might be goodbye to our pig farming industry. This might be a good thing in some people’s opinions. Lev 11:8 You shall not eat any of their flesh, and you shall not touch their carcasses; they are unclean to you. Lev 11:47 to make a distinction between the unclean and the clean and between the living creature that may be eaten and the living creature THAT MAY NOT BE EATEN. So you can’t eat it, and you can’t touch their carcasses – because you could get ill back in those days from doing so. My good friend Anna who I was chatting to about this explained that the bible was written mainly for people who lived in the desert, and in the desert food spoils fast, and you can get really bad diseases when that happens including triconosis which you get from under-cooked Pork. This Wiki is really interesting and gives many reasons why the ban on pork may have been implemented. What scares me most about religion is people choosing to live their lives based on outdated rules and information. That’s why I’m not religious. I choose not to follow the bible, the Qur’?n or any other such book. If the Halal way of killing animals is better for everyone, that’s fine and I am willing to accept it. No problems there. However, the first time I’m told I can’t have bacon on my burger, I’m walking out – and I intend on being extremely vocal about it, too. This is Australia. If I want bacon on my burger, I should be able to get it, and NO religion should be telling me otherwise. I’m not pretending like I’m educated on all these issues – ignorance is a part of this. I didn’t know anything about why Pork was supposedly so bad, or what Halal really meant, or how it was better for the chickens and stuff. I’ve done a bit of reading on these topics recently, so I know a little more about it now. I’m willing and prepared to accept a better way of doing things, but I also want people to respect *my* culture and beliefs, which include having bacon on a burger. I don’t want to be all “Muslims are bad” and stuff, because I don’t believe that at all. But I will be honest with you all – it is very threatening to me when things change. I don’t like it. Most humans don’t. I’m willing to look at why I am feeling threatened and try to understand the issues and get educated on them, but a lot of people are not. A lot of people see all this stuff going on, like the Mufti saying those things about uncovered meat and women, and bacon being taken off the menu, and all these veils all over the place, and then with the whole terrorism connection and Jihad and all this scary stuff, people are freaking out. I probably haven’t made a lot of sense on this issue. I’m finding it hard to find the words really. I am not even sure this says what I want to say.. :) But I’m out of time for now, I may revisit it later. I had no lunch all day so I went to KFC and I wanted a chicken and bacon burger. I was told “no we do not serve bacon here”. I rang KFC Head office to complain about it and spoke to the local area manager. It turns out that this store caters for the local Muslim community only. When I spoke to this manager during the conversation he actually called me a racist pig. Ok. At what point do we give up *our* culture for someone else’s? I fear I may perhaps be turning into Pauline Hanson instead of just getting fake checks with her name on them, but am I wrong to say KFC has been serving bacon on their burgers for a heck of a long time and religion should not be a reason to change that? What’s next, Burger King and Mcdonalds? What about Hog’s Breath? Will they have to change their logo and not serve pork anymore? Am I religionist to say I really don’t like this? I can’t be racist, because Muslim is not a race of people, it’s a religion which covers many races. But first the veil which I personally feel is insulting to women and clearly I am not the only one who feels that (you may not agree, and that’s fine) – I think women should be allowed to wear whatever they want but I do not believe they should be doing it because men cannot control themselves – That’s down to the men. While I don’t like to see crack or bellies or other body parts while walking down the street, that’s up to the women who wear those clothes to decide that they feel comfortable going out like that. But some people say this dress code is not anywhere in the Quran at all and it actually has to do with other things entirely. While many Muslims call “Hijab”, an Islamic dress code, they completely ignore the fact that, Hijab as a dress code has nothing to do with Islam and nothing to do with QURAN. The BEST garment is the garment of righteousness. Whenever you dress , cover your bosoms. “If you take out uncovered meat and place it outside on the street, or in the the garden or in the park, or in the backyard without a cover, and the cats come and eat it … whose fault is it, the cats or the uncovered meat,” he said. “The uncovered meat is the problem. The problem apparently was a woman who was raped. Err, that’s not a problem, that’s a *crime*. Women do not ask to be raped, regardless of what they wear. In fact no victim of a crime ever asks for it. If you forget to lock the door of your house when you go out, and people come in and steal everything you own, you are still the victim of a crime because those people *stole* your things. Had no criminals turned up to try the door, your stuff would all still be there. Am I wrong, people? Not only that, he seems to be saying that women should stay at home, possibly in their room. Well if women are at home in their room, what need do they have for covering up? They should be able to sit there naked if they want to, it’s their room, FFS! You want to tell women what to do and what they should be wearing while they do it every minute of the day? I’d hate to be this man’s wife. I hate to say it, but when you can’t get bacon on your burger in *Australia* – the land of put anything you like on your burger and call it good – beetroot, egg, bacon, avocado, etc – something is VERY wrong here. And when someone who calls to complain about it is called a racist pig (when this has nothing to do with race at all, it’s about religion) something is VERY wrong here. At this stage, I agree with Pauline on one thing.. I don’t like it. What do you think?